Hot Toys has sent along a number of high resolution photos of their upcoming Perseus figure. 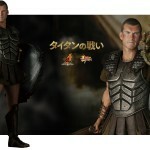 Perseus is the new Movie Masterpiece figure based on his appearance in the new remake of Clash of the Titans. The figure is due out September 2010 at a price of 22,000 (about $236 USD). Hot Toys has unveiled a full gallery for their upcoming Movie Masterpiece Perseus. The figure is based on Sam Worthington‘s portrayal of Perseus in the 2010 remake of Clash of the Titans. This 1/6 scale figure is due out in the third Quarter of 2010. Click the headline of the story for all of the images as well as some info on the figure. Discuss on the Toyark Forums› Views: 7011 › Credit: xSEANxLONGx of the Toyark Forums! Hot Toys has posted a preview showcasing their newest Movie Masterpiece figure, and a new license. With the preview of Perseus, we get our first glimpse of what Hot Toys will do with the new Clash of the Titans (2010) license. Expect a full gallery soon. Click the thumbnail for the full sized preview. 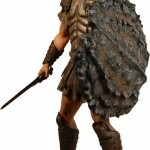 NECA has revealed the first “official” images of their upcoming Clash of the Titans figures and props. We had previously reported on the Clash of the Titans line from Toy Fair 2010. The new Warner Bros. remake of Clash of the Titans isn’t out for another month, but NECA’s got you prepped ahead of time with all-new figures and props from the movie! Whether he likes it or not, Perseus is headed to the underworld to fight Hades, and, sure, he’s bringing some friends along for the ride, but we all know who the pressure’s on. After all, being a son of Zeus comes with some expectations, right? Well, when it comes to saving Earth from being overrun by demons and other terrible types, at least we know we’re in good hands. 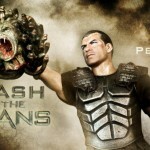 NECA’s first line of Clash of the Titans action figures features two versions of Perseus, as he’s portrayed in the film by actor Sam Worthington (Avatar, Terminator: Salvation); one clean and one who’s kicked up some dirt from all that fighting. Both figures stand 7″ tall and come with a sword, shield and battle-hardened attitude. Next up are the resin statues of the gods. Available in a set of six, the statues capture the movie likenesses perfectly and are 7″ tall. These will be in stores later this month and make for an extremely unique collector’s item for fans of the film or of Greek mythology in general. Last but not at all least are the massive prop replicas from the film. Real metal weapons that look as true-to-life as you’re going to get. Perseus’ sword is 27″ long and gorgeously crafted. His sword from the gods is even bigger, measuring 34″ long and featuring a unique handle and detail that Clash of the Titans fans will go nuts for. There’s also the highly detailed 9 1/2″ throwing knife used by Draco in the film and the 10 1/2″ baton of the gods (for those in a less stabby mood), which excellently match the movie’s intricate designs. 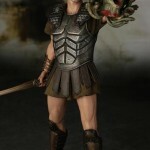 NECA’s Clash of the Titans merchandise will be available this month in stores. We have mirrored the photos. They can be seen by clicking the headline of the story.